Hullekere is a small nondescript village near Gandasi in Arsikere Taluk of Hassan District. This place is home to a lesser known Hoysala temple built in 1163 AD by Narasimha I, as per the inscriptions found here. The temple looks like a replica of the Anekere Chennakeshava Temple, being similar in plan and dimensions, except that this temple has more intricate carvings when compared to the temple at Anekere. Sri Keshava temple here is a perfect example of Hoysala temple Architecture. The temple is surrounded by a prakara wall with a roof supported by pillars, forming a cloister. The main entrance is towards the east with a front porch supported by 6 circular lathe turned pillars. 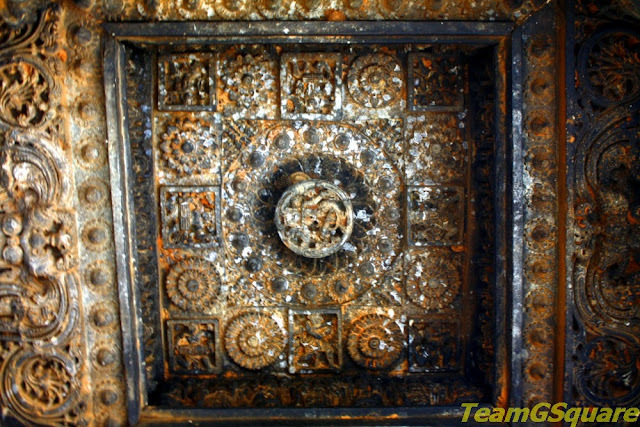 Sri Keshava temple consists of a garbhagriha, an antarala, and a sabhamantapa with an open mukhamandapa. The garbhagriha houses a beautifully executed murti of Lord Keshava standing on a Garuda pitha. The door way of the garbhagriha is richly decorated and has a depiction of Gajalakshmi on its lintel. The sabhamantapa is square and has four skillfully executed round lathe turned pillars. There are nine ankanas (parts) of ceiling, each one decorated with mouldings which are unique. The door jamb here is again richly carved with an image of Gajalakshmi on its lintel. The outer walls of the temple are decorated with pilasters, stambhas and diamond shaped flowers. There are many niches which are beautified with all the 24 forms of Vishnu, attended by female attendants on either sides. The Dravidian shikara here is a treat to the eyes. It comprises of 3 talas (layers) and is crowned with a kalasa. The beautiful Hoysala emblem adorns the vestibule of this temple. There are two sculptures of standing elephants in the front of this temple. There is also a big inscription stone inside the temple compound. Yet, this beautiful temple doesn't come under purview of the ASI (archaeological survey of India) and was restored with the help of Sri Dramasthala Manjunatha Trust. 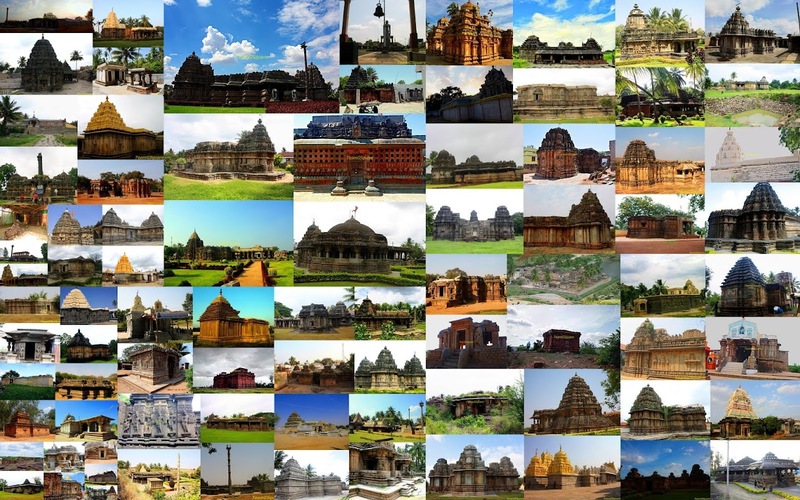 Other Places to visit nearby: Group of Hoysala Temples at Mosale, Shanthi Grama, Arsikere, Haranahalli, Nonavinakere, Nuggehalli, Belur and Halebidu, Shettihalli Church, Sanka Hoysala Temple, Kondajji Hoysala Temple, Aralaguppe Temples, Garudanagiri Fort, Maharajanadurga Fort and many such. How to Reach Doddagaddavalli: Located off the Hassan - Tiptur highway, about 45 km from Hassan and about 170 km from Bangalore via Tiptur. Accommodation: There is no option of any accommodation here in Hullekere; one can stay in Hassan where there are plenty of options to suit one’s budget. We usually choose Hotel Suvarna Regency, which is quite affordable with all modern amenities. Where to Eat: There are no eateries here, although one can stop at Hassan which is close by with plenty of options to suit one’s taste. Recommended ones are Hotel Suvarna Sagar, Hotel Kadamba and Hotel Sri Krishna. 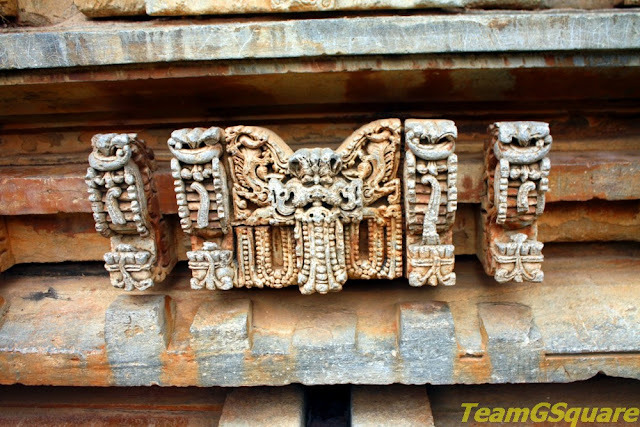 All Hoysala architecture look marvelous with intricate carvings.This one seems no different.. Well captured with your camera.. Elaborate carvings. Definitely worth a visit.